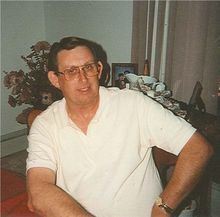 Retired IAM Administrative Assistant Wayne Coin died October 31, 2013 at his home in Milan, MO. Wayne, 69, retired from the IAM in 1999 after a 47 year union career that began at electronic device manufacturer Ametek. He was first elected Steward. A year later he was elected Business Representative and then promoted to Grand Lodge Representative. In 1990, Coin became Administrative Assistant to former Midwest Territory General Vice President Merle Pryor. Wayne was a very active union leader having served as a delegate to the Democratic Convention during the Clinton era. He was also past Chairman of the Democratic Central Committee.